Beam-steering components are an essential part of many optical systems, especially those with lasers. Moving mirrors, prisms, lenses, and diffractive gratings are common optical methods to steer the output from collimated or noncollimated light sources in multiple rotational axes. Typical commercial beam-steering methods include nested gimbals that move a single mirror, fast steering mirrors that use two or three short-range parallel linear actuators to tilt a single mirror, two-mirror systems that use orthogonal galvanometer-mirror modules, and coaxial transmissive Risley prisms with independent rotation around the optical axis. 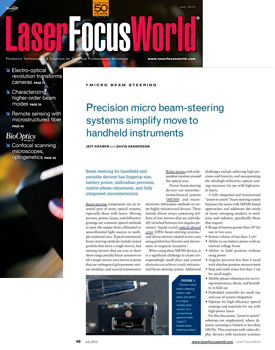 Newer beam-steering devices use microelectromechanical systems (MEMS) and microelectronic fabrication methods to create highly miniaturized devices. These include silicon arrays containing millions of tiny mirrors that are individually switched between two angular positions, liquid-crystal optical phased array (OPA) beam-steering systems, and silicon mirrors rotated in two axes using gimbal-less flexures and electrostatic or magnetic actuation. 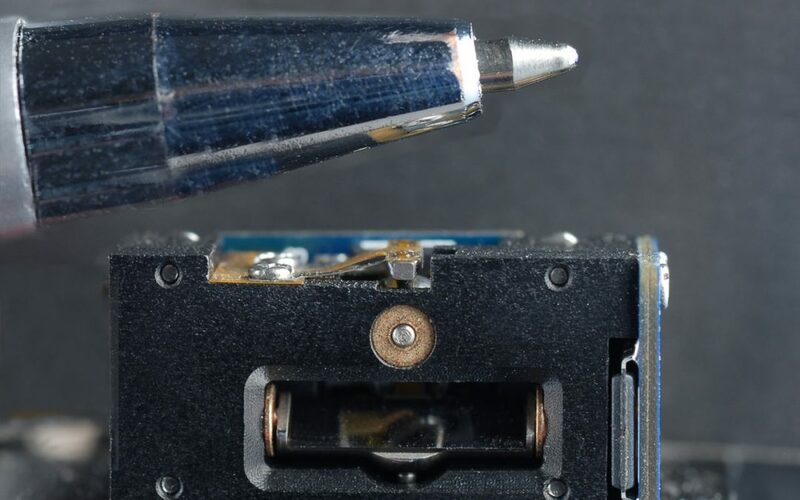 When using these MEMS devices, it is a significant challenge to create correspondingly small drive and control electronics to achieve a truly miniaturized beam steering system. Additional challenges include achieving high precision and linearity, and incorporating the ultrahigh-reflectivity optical coatings necessary for use with high-power lasers. A fully integrated and miniaturized “point-to-point” beam steering system bypasses the issues with MEMS-based approaches and addresses the needs of many emerging markets in medicine and industry.